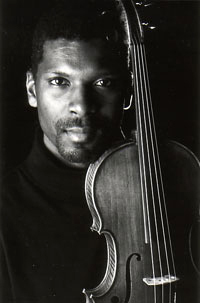 As a chamber musician, Azikiwe has appeared in concert with the Chicago Chamber Musicians, the Kandinsky Trio, the Harlem Chamber Players, the Chester, Miro, St. Lawrence, Anderson, Arianna, Harrington and Corigliano quartets. He has also performed extensively with the Ritz Chamber Players and the Concertante Chamber Players, with whom he recorded Tchaikovsky’s Souvenir de Florence, released on the Helicon label. On the MSR label, Mr Azikiwe has recorded the Sonata for viola and piano by American composer James Cohn. Among Mr. Azikiwe’s prizes and awards are those from the New York Philharmonic, Concert Artists Guild, the North Carolina Symphony, the National Society of Arts and Letters, and the Epstein Young Artists Award from the Boys and Girls Clubs of America, with whom he still maintains a strong artistic and mentoring association. Mr. Azikiwe was previously the conductor of the Old Dominion University Chamber Orchestra and the Atlanta University Center Orchestra. He was also a visiting faculty member of Indiana University’s Jacobs School of Music in Bloomington, IN. Most recently, he was on the faculty of James Madison University and University of Maryland Baltimore County. 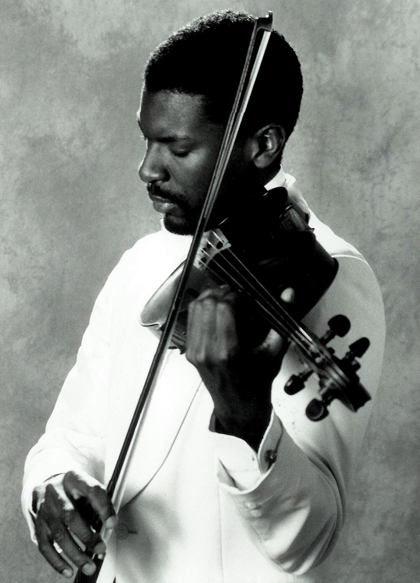 Currently, he is a Teaching Artist for ClassNotes, the Noel Pointer Foundation, a member of the Harlem Chamber Players, the Pressenda Chamber Players, and Music Director of the Harlem Symphony Orchestra. He has guest conducted for the Intercollegiate Music Association, Tennessee Music Educators Association All-Collegiate Orchestra, Third Street Philharmonia, Gateways Music Festival, and Trilogy Opera Company. Mr. Azikiwe has appeared as artist faculty at the Brevard Music Center, Hot Springs Music Festival, Interlochen Center for the Arts, Apple Hill Center for Chamber Music, Killington Music Festival, Manchester Music Festival, Tennessee Governor’s School for the Arts, Mammoth Lakes Chamber Music Festival, Bennington Chamber Music Conference, University of North Carolina School of the Arts Summer Session and the Aria International Academy in London, Ontario. As an orchestral musician, he has appeared with the New York Philharmonic, Indianapolis Symphony Orchestra, as principal violist of the SHIRA Jerusalem International Symphony Orchestra and guest principal violist of Canada’s National Arts Centre Orchestra. He has performed under the baton of conductors Lorin Maazel, James DePriest, Christoph Eschenbach, Gerard Schwarz, Marek Janowski, Leonard Slatkin, Seiji Ozawa, Michael Morgan, Pinchas Zukerman, Stanislaw Skrowaczewski, Sixten Ehrling, Gennady Rozhdestvensky, Charles Dutoit, Christoph von Dohnanyi, Michael Tilson Thomas, Kurt Masur, and Leonard Bernstein. A native of New York City, Amadi Azikiwe was born in 1969. After early studies with his mother, he began his formal training at the North Carolina School of the Arts as a student of Sally Peck. He continued his studies at the New England Conservatory with Marcus Thompson and conductor Pascal Verrot, receiving his Bachelor’s degree. Mr. Azikiwe was also awarded the Performer’s Certificate from Indiana University, where he served as an Associate Instructor, and received his Master’s Degree in 1994 as a student of Atar Arad.